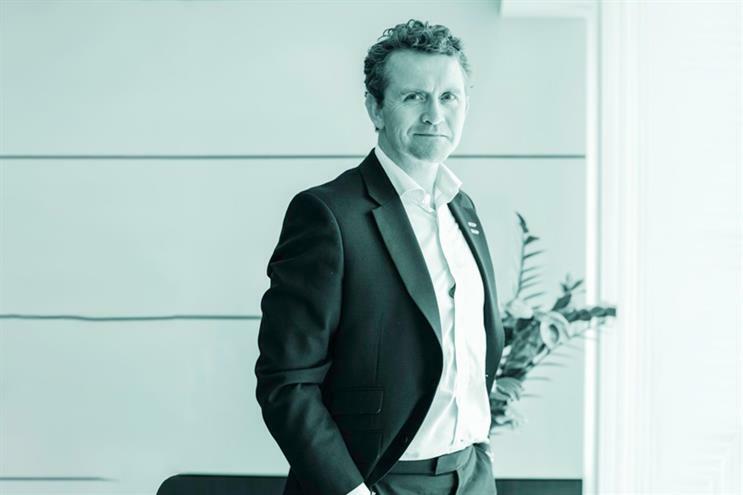 Steve Parker, the former joint UK chief executive of Starcom, talks to Campaign Middle East about his new role as the region's boss of Publicis Media. "We’ve got ambition and capability growth and an aggressive new business pipeline," says Steve Parker from a desk on which a picture of two young children takes pride of place. Surprisingly strong words for a man whose primary concern when considering global relocation was whether his mother could fly over five times a year. Yet when the recorder switches on, the smiling family man steps aside and out comes Steve Parker, the chief executive of Publicis Media Middle East – a man with eight markets, 600 people and a tidal wave of change to oversee. Sitting at the desk formerly occupied by Starcom Mediavest Group chief executive John Antoniades – who has returned to work in the group’s London hub – Parker is certainly no stranger to big upheaval. First as managing director and then chief executive of SMG London, it fell to him to accelerate the group’s entry into the digital age, a task that has followed him to the Middle East. Major areas such as ecommerce and content marketing are ‘gaps’ already identified by Parker as requiring some ‘acceleration’. At the same time, Publics Groupe’s global restructure has seen the disintegration of Starcom Mediavest and Zenith Optimedia into Starcom, Zenith, Mediavest Spark and Optimedia Blue 449. These ‘harmonisation’ efforts are now well under way in the MENA region and a lot of people are getting new jobs. One is former Zenith Optimedia chief executive Firas El Zein, who is becoming chief executive for Zenith, while Tarek Daouk, former Mediavest managing director, will become Starcom’s chief executive. The two other brands’ leaders are still to be announced. Meanwhile Ali Nehme, former managing director of digital at SMG has been promoted to chief strategy officer. Creative marketing agency MRY is to also be integrated and its capabilities distributed through Publicis Media as a whole, while search-marketing division Performics will keep its own identity. The idea underpinning all this is Publicis Groupe chief executive Maurice Lévy’s vision to harness the brands as ‘the power of one’. But will they all work in harmony together – especially when at present the agencies are scattered across several offices? Using content as an example, Parker says: "As opposed to having an outlying content division (of course there’s Leo Burnett and great creative businesses – we work brilliantly with them), we have the opportunity to embed the capability further within our business and that’s what we had in the past. Linked to a challenging economic climate, clients want communication in its broadest sense and it is amazingly exciting. But it’s really complex and if we want to bring growth for clients in challenging times then we have to give them simplicity. "That’s why you need in-house business and not someone sat over there. You want more people who can connect and integrate, and who clients know. And that’s why dynamic content will sit in our content division and will spend time with our client teams all the time. It feels natural." Parker is the first to admit that he has arrived at a tough time, with low oil prices continuing to hit the regional economy hard, and sending adspend plummeting as a result. "The climate is challenging and this stems from a global perspective," he says. "The challenge is uncertainty. You saw that in the UK with Brexit, you saw what happened with the pound; people don’t like uncertainty. Every successful business has a chairman and a CEO and to be honest I would not feel comfortable without a chairman because you need that advice. "Then you have regional challenges here: the political instability, economic instability and the global challenges around oil. So clients make decisions early on to make their budgets, cut and then reinvest. We’re definitely seeing that and we are seeing some upturn in some areas, but there’s no doubt that we, like every other marketing-related business are seeing some challenges to investment. "The opportunity for me as a fresh set of eyes is how I look at making things more effective and more efficient. ‘Effective’ is our lifeblood: how I add more value to a client’s business. I’ve seen it work here; when you bring things together, everything gets better." Parker may be fresh off the plane, but he is no stranger to the Middle East. His tenure at SMG London brought him frequently into contact with Antoniades and Alex Saber, formerly chairman of the now dissolved VivaKi MENA, who will now serve as chair of Publicis Media to Parker’s chief executive. So how will Parker and Saber will work together? And who will be the one really calling the shots? "I don’t think it will be about final say", says Parker diplomatically. "Ultimately the P&L [profit and loss] reports into me, so I don’t think it ever has been or ever will be a question of who has final say. I know the value Alex has because he knows the market really well; his cultural radar is really strong. I don’t have that so I’m learning all the time. And he wants the fresh set of eyes I have from London, which is really amazing for me. "We’ve been to a couple of client meetings and it feels like a natural double-team. [Saber] can go into specific detail about the region or that market and I can add my ambition and the reality around this direction, this digital channel, if the meeting is about that. I haven’t just turned up and said ‘Day One’; we’ve been on this journey since the start." Having worked together a lot in the past, are the two already friends, or might too many cooks spoil the broth in the top ranks of Publicis Media MENA? Ever tactful, Parker says: "It’s difficult to say whether we’re friends, because Alex would have to reciprocate. But we get on really well, we have a really good relationship. Every successful business has a chairman and a CEO and to be honest I would not feel comfortable without a chairman because you need that advice; you need that support from the wider executive route. I’m a team person and I need someone to bounce ideas off. I’m very happy making an informed decision, but I’d rather make a clear decision with people above me, below me, around me. "We’re a really complex business and I think it would be a really big job for a CEO, even one with more experience than me, to run this region. So I think anyone in my role would feel better having a trusted person with significant experience to support them." This story first appeared on Campaign Middle East.